We believe in meeting patients' individual needs through comprehensive evaluation and treatment designed to help them achieve an active, pain-free lifestyle. 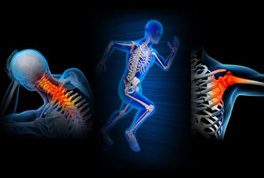 Many musculoskeletal conditions can be treated by nonsurgical techniques—surgery is just one treatment option. We combine cutting-edge techniques with proven traditional methods to provide our patients with the best orthopaedic care possible. On my part, this begins with listening, and one of the most important things I need to know is how the physical problem affects this patient's life. We develop a dialogue, through which my patients understand the diagnostic process, their own unique problem, their treatment choices, and the recovery process. Patients help to guide and direct the diagnostic and treatment activities.